With gratitude to delightful author, Fonda Lee http://fondalee.com, whose questions on twitter led me to write some things that led to this comic. Thing 1: It’s all my fault. Thing 1: Everything, everything is my fault. Thing 2: No, it’s not. 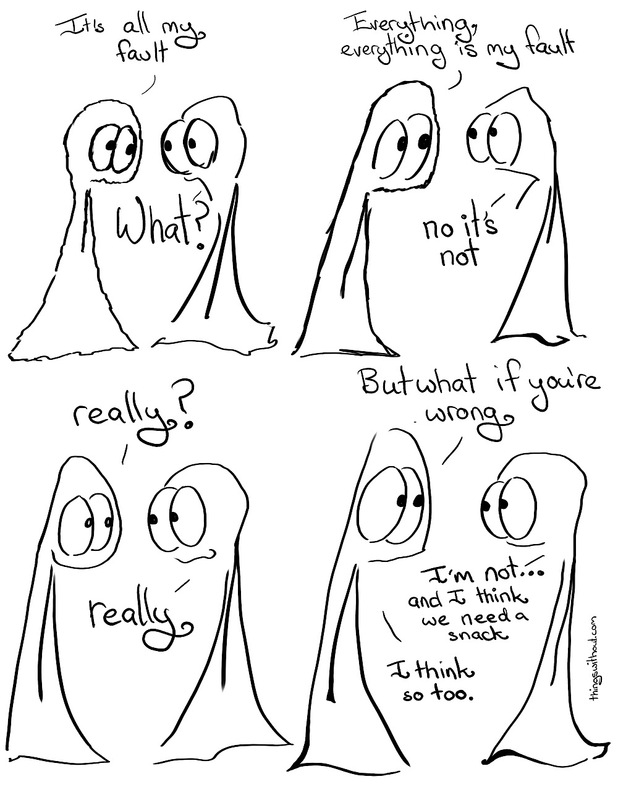 Thing 1: But what if you’re wrong? Thing 2: I’m not… and I think we need a snack. Thing 1: I think so too. My snack included lettuce leaves with fetta cream sauce and BBQ sauce. I don’t know if that is clever or bizarre, but I hope you are all having good snacks.